"My whole ambition in life is to set in motion a machinery which will bring noble ideas to the door of everybody"
Ramakrishna Mission School and Ashrama are the instruments of realising his mission. Keeping this cherished objective in focus and to implement this idea among less-privileged children Ramakrishna Mission Ashrama Asansol is running a Free Coaching Centre ( FCC) presently in its school premises, with the financial aid from SAIL-ISP Burnpur under their CSR scheme .This FCC provide educational support to school children belong to KG to IV standard from 35 peripheral villages in this region by giving them free coaching by experienced teachers and supplying them study materials, Tiffin, etc. The transportation of those children between their home and Ashrama is covered by 5 buses dedicated solely for this purpose. In near future after completion of the new complex the fully functional FCC will be able to provide support to children up to class VI. The goal of this FCC is to reach to every less-privileged child in this locality and help them to develop their basic educational skill and exposure as per other children of the society. The new session of Free Coaching Centre commenced on 2nd July’ 2015 in presence of Sri R.N. Das, ED (I/c) Projects, Sri A.K. Rath, ED (Projects), Sri S. Kumar, ED (Finance), Dr. N. Mohapatra, ED (P&A), Sri K.K. 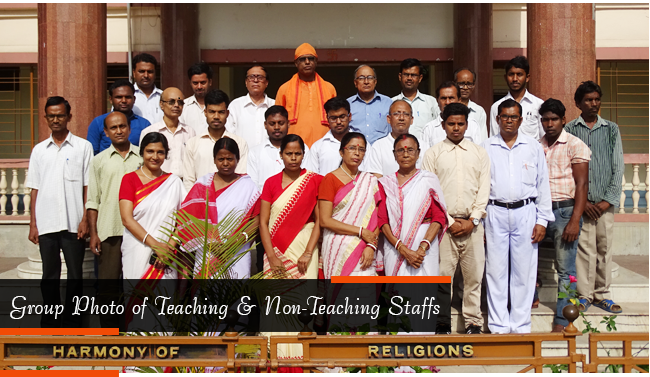 Jha, DGM (I/c) TS, Sri Somenath Ghosh, DGM (CSR & TP), Sri A. Roy, DGM(TS-CC) in our Ashrama premises. Formerly these classes were being conducted in different centres in the vicinity.